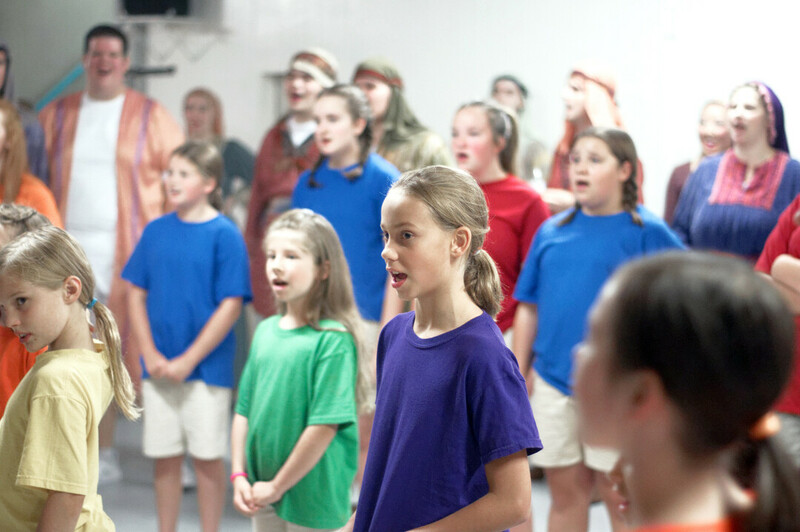 Performers warm up before a recent ECCT production. The Eau Claire Children’s Theatre has been a staple of the Chippewa Valley arts community for three decades, and they’re throwing a party to celebrate that achievement. On Saturday, Sept. 15, the organization will host an open house 30th anniversary celebration that’s free for all ages. The event, which will take place at The Oxford, 1814 Oxford Ave., will feature family friendly activity stations including Storytime with Belle, Cat in the Hat makeup, and Penguins Ice Cube Toss. Next, guests can enjoy Magnificent Matt’s Magic Show before hopping back up to take old-time photos with Laura and Pa or practice stage combat with characters from Peter Pan. The event runs from 10am-noon. ECCT burst into the Eau Claire scene in 1989 and has been providing opportunities for children and adults alike to have a chance in the spotlight. It’s a non-profit group driven by countless volunteers who work together to produce shows that appeal to audiences of all ages and backgrounds – not to mention the organization of educational programs and workshops for area students. For more information about this event or the group’s upcoming 30th anniversary season, visit ECCT.org.